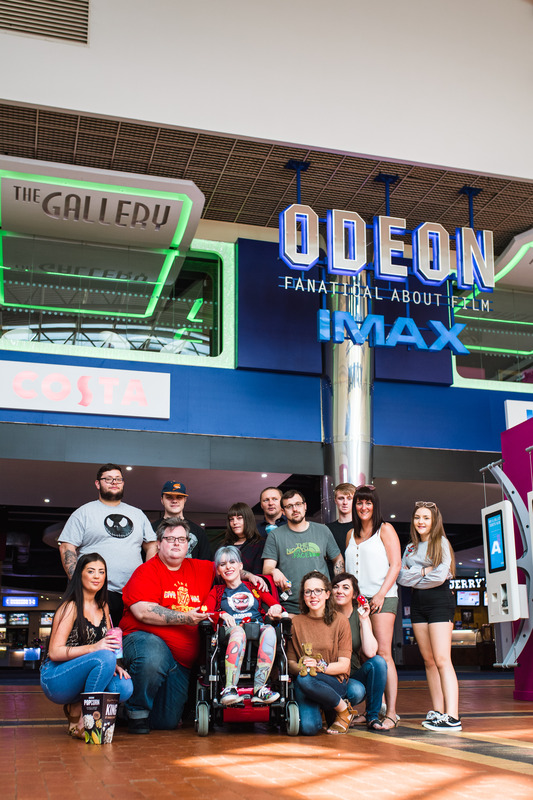 ODEON – Europe’s largest cinema group – has been calling all heroes nationwide in a search to uncover the real-life superheroes who go the extra mile, wake up to put a smile on the face of others or carry out heroic acts every single day in their local communities. The search has now come to a close with Pontypridd local Sasha Robbins, crowned as South Wales’ local hero. 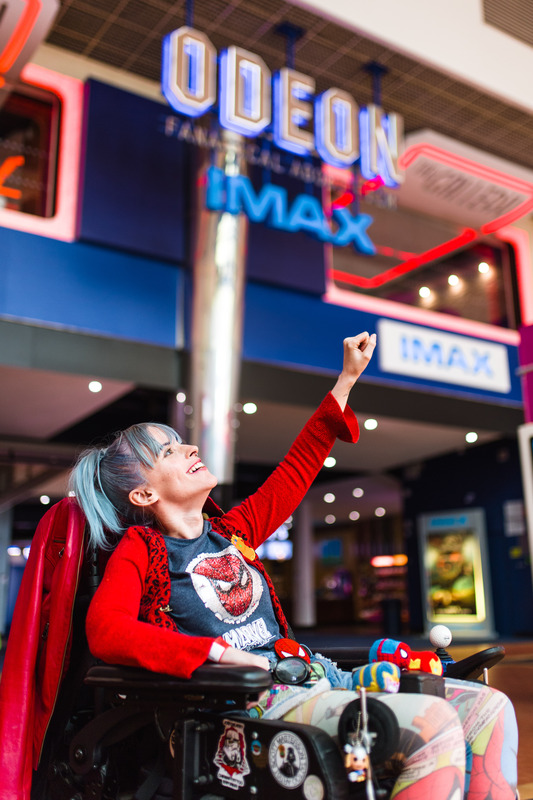 Sasha, a Contact Officer for The Adult Learning Disabilities Team of Cardiff Council Social Services and avid cosplayer from Pontypridd was applauded for her endless work towards improving equality and diversity in Wales, while living with Cerebral Palsy herself. Sasha was nominated by her partner, Wayne Jones, who praised her constant mission to help and inspire others. 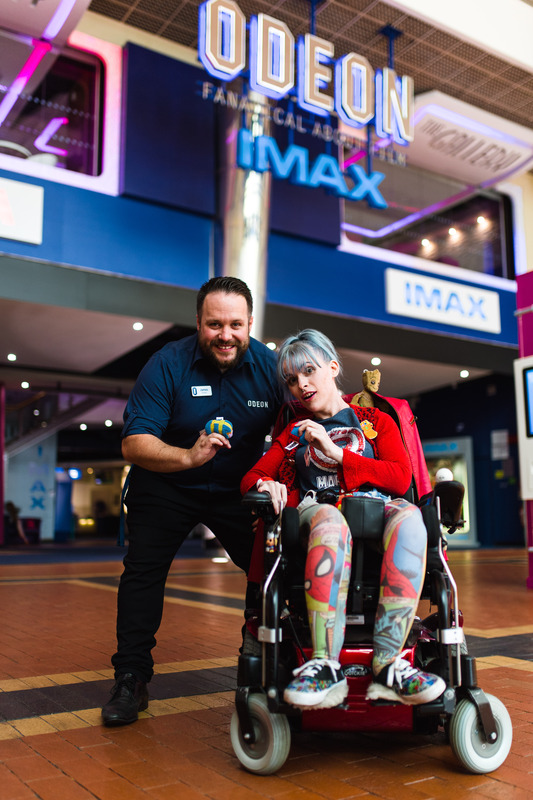 To celebrate her heroic status, ODEON put on a private screening of the superhero epic, Avengers: Infinity War, for Sasha and her friends and family to enjoy at her local cinema, ODEON Cardiff. She was also rewarded with an ODEON Limitless membership, to see unlimited films throughout the year, free with ODEON. Heroic gestures come in different shapes and sizes, as ODEON research reveals 41% consider something as simple as saying “please” and “thank you” as heroic, as well as helping somebody cross the road (38%), or making someone a good cup of tea (13%) in a time of need – while over half (51%) say that simply asking someone if they’re alright is worthy of hero status. The research also found that being supportive (65%), caring (56%) and honest (54%) are the most heroic traits of all to the British public.